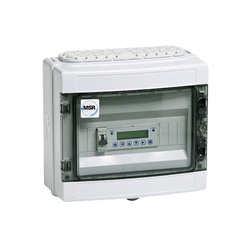 Leading Manufacturer of carbon monoxide gas detector, multi gas detector, standalone detector, gas alarm system gas sensor detector, gas detector and hydrogen gas detector for battery room from Jaipur. 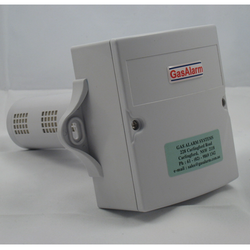 Carbon Monoxide Sensor/Detector and Transmitter For Ventilation Control and Energy saving. MSR Germany Carbon Monoxide (CO) Detectors and Transmitters save energy costs by controlling ventilation equipment (Fan) in areas where high concentrations of CO may present serious health problems. Various building and occupancy codes require that ventilation fans run 100% of the time in enclosed areas, such as parking garages, unless a CO monitoring system is installed in that particular areas. 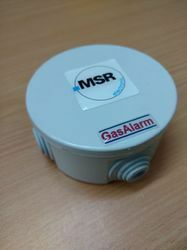 The MSR Germany Carbon Monoxide Detector/Transmitter has an excellent sensing unit (Electrochemical – Gel Type Sensor Cell ). As carbon monoxide levels increase, contacts are provided to actuate ventilation equipment (Fan) and an audible internal alarm will activate if CO levels continue to rise. Since ventilation equipment is only required when CO levels are elevated, energy costs for HVAC operation are significantly reduced. 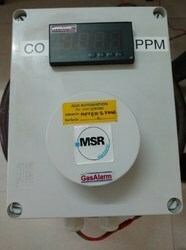 Carbon Monoxide Transmitter is used to provide a proportional analog signal to the Multi-Input Control Panel or a Building Management System (BMS). Process industries such as Oil gas, Petrochemical, Refinery and Chemical industries need special precautions to handle different hazardous substances that are used in the process or present in the atmosphere. 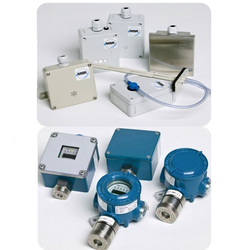 For the protection of personnel and plant constant monitoring of toxic and combustible gases and vapours is required. The gas detection sensors for monitoring such hazardous gases needs to be installed and maintained in extreme harsh conditions.. Hence such products need to comply with general standards and regulations that guarantees the safety of the system. 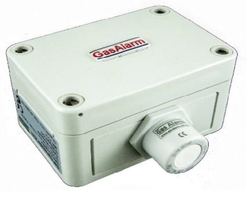 At GasAlarm Systems, we provide innovative IECEx and SIL 2 Approved Gas Detection sensors to suit almost every industrial application where extreme environmental conditions prevail. Gas Alarm Systems Australia in association with Gas alarm systems India are pleased to introduce PolyGard Standalone Pollution / Emission Moniotor SPC-X3-34XX for Hydrocarbons, Flammable / Inflammable liquids and Combustible gases. Battery rooms or battery charging bays or battery charging stacks are being widely used in Data Center, UPS Systems, Renewable Energy Sources like Solar Plants, Wind farms, Submarines, Naval Vessels and Underground Bunkers etc. 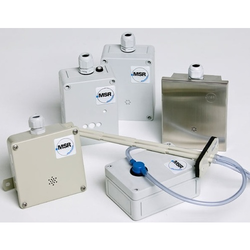 Carbon Dioxide Duct Probe Transmitter series designed to be installed in HVAC return air ducts. 1 x analog outputs for CO2. 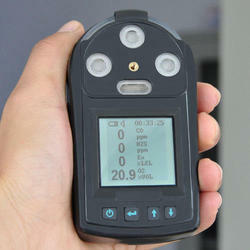 Fast, Accurate and long life German Carbon monoxide (CO) Detector technology in lowest budget price. 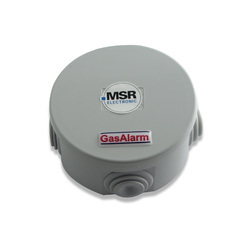 When it comes to Carbon Monoxide (CO) Detector for car park ventilation systems MSR CO detector have high demands in the global market because of its best sensing technology. Parking area, garages, chiller rooms and heating, as well as dusty & humid area like pharmaceuticals, coal mine, conveyor belt, cement plant, thermal power plants, flour mills, powder industries. Very early smouldering fire and smoke detection. We are pleased to introduced MSR Germany CO Sensor Transmitter with offer promotional and special discounted price for Indian Market. We are pleased to announce our one of the best and economical product "Carbon Monoxide Sensor Transmitter" Model no- GAS-CO-300-X in Indian as well as in the Australasian market. The Price of this CO Sensor Transmitter is much more economical than any other competitor's price in the Indian market with best Electro chemical technology, High Accuracy and long life features. Gas Alarm India Battery Room Hydrogen Sensor Monitor Battery rooms or battery charging bays or battery charging stacks are being widely used in Data Center, UPS Systems, Renewable Energy Sources like Solar Plants, Wind farms, Submarines, Naval Vessels and Underground Bunkers etc. These batteries when being charged generate, liberate highly explosive Hydrogen (H2) gas. The LEL(Lower Explosive Limit) of Hydrogen (H2) is 4 % Vol. and the UEL (Upper Explosive Limit) is 77 % Vol. Hydrogen (H2) is lighter than air and travels towards ceiling in an enclosed battery room. Potential of creating highly explosive atmosphere which can create explosions in the battery rooms due to electrical sparks, electrical short-circuits, electrical earth leakage and high surge capacitive discharge. Oxygen depletion atmosphere in an enclosed battery rooms there by causing breathing safety hazard for working humans. To design engineer install a continuous Hydrogen (H2) detection and monitoring system and to control the ventilation fans to remove the built-up Hydrogen (H2) gas. Battery rooms or battery charging bays or battery charging stacks are being widely used in Data Center, UPS Systems, Renewable Energy Sources like Solar Plants, Wind farms, Submarines, Naval Vessels and Underground Bunkers etc. These batteries when being charged generate, liberate highly explosive Hydrogen (H2) gas. The LEL(Lower Explosive Limit) of Hydrogen (H2) is 4 % Vol. and the UEL (Upper Explosive Limit) is 77 % Vol. Hydrogen (H2) is lighter than air and travels towards ceiling in an enclosed battery room. 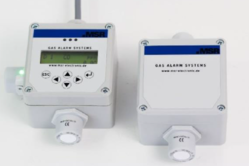 ALVI Automation India in association with Gas Alarm Systems, Sydney Australia and MSR, Germany can design, engineer and supply Hydrogen (H2) sensor transmitter along with gas monitoring control panels for controlling the ventilation fans in the battery rooms to dissipate the explosive atmosphere. 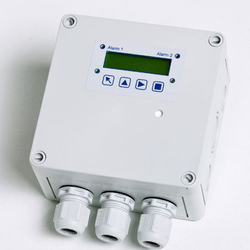 We have range of sensor transmitter with 4-20 mA analog output, stand alone single point gas controllers, multi channel digital Modbus centralised gas control systems. MSR, Germany product range includes ATEX, IEC-Ex, SIL2 Hazardous area certified for zone-1 and zone-2 hazardous atmospheres. All from MSR, Germany hence quality and reliability are assured. All systems supplied by ALVI Automation India will be supported, calibrated, maintained, serviced as per Global standards. ALVI - India in association with Gas Alarm Systems - Australia take pride to offer MSR Germany Very Early Fire Detection and Safety Alarm For spontaneous combustion of coal fire, products of combustion fire, VEFSA - Very Early Fire Detection and Safety Alarm. CO transmitter (spontaneous combustion of coal, products processing and temperature compensation for the continuous monitoring of the ambient air to detect carbon monoxide concentrations (CO). Comfortable calibration routine with selective access release is integrated in the transmitter. The ADT-03 possesses a standard analog output (0) 4- 20 mA or (0) 2- 10 V DC, and an RS-485 interface. 2 relays with adjustable switching thresholds are available as an option. For the detection of carbon monoxide (CO) within a wide range of industrial applications such as coal mines, coal garages, tunnels, engine repair shops, loading bays, engine test benches, shelters, go-kart race courses etc. 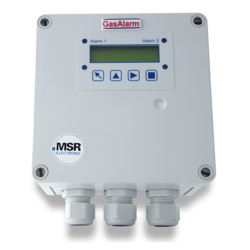 Due to the 4 to 20 mA output signal the CO transmitter is compatible to the PolyGard series MGC/DGC by MSR-E as well as to any other electronic control or automation system. Digital measurement value processing incl. temperature compensation.